BIG NEWS! French Wine Society becomes the Wine Scholar Guild! In only 10 years, the French Wine Society has become the leading provider of French wine study and certification programs internationally. We could not have achieved this without your support! In response to our students’ and instructors’ requests, we have decided to expand our educational offerings to include the wines of Italy and Spain! You can count on our continued passion and commitment to provide the same level excellence as we release our new professional development and specialization programs! To achieve this exciting expansion, we are creating a new organization: The Wine Scholar Guild. Our goal is for the Wine Scholar Guild to become the leading, international provider of advanced specialization wine study and certification programs on the wines of France, Spain and Italy. Within the next few days, the French Wine Society website will be transitioning to www.WineScholarGuild.org. We will make this transition as smooth as possible, making sure your access to our existing educational materials and membership benefits remain available at all time. Curious to know more about what’s coming? Here is a snapshot! 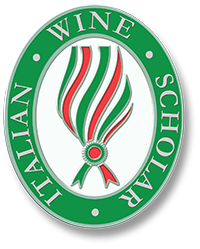 Our Italian Wine Scholar program will be launching in May of 2016 with preparatory online learning activities. The first classroom sessions will start in September of 2016 via our program provider network around the world! Learn more about the Italian Wine Scholar program and sign up to receive notifications of the launch of the program! Our Spanish Wine Scholar program will follow shortly thereafter. The extension of our programing also means exciting developments for members! All the member benefits French Wine Society members have enjoyed will be gradually expanded to include Italy and Spain! All existing members and all future members will become Wine Scholar Guild members with access to all continuing education programs across the board… at the same $100 price! We are really excited for you to be part of the Guild. Together, we want to create the most active community of wine students around the globe!